Order now and receive free freight! Every blue Tapcon® is in stock for immediate shipping. Product List - provides a complete listing and an easy-to-use filter of all the blue Tapcon® available. Filter by diameter, length, environment and type to narrow down the choices. Technical Information - provides the holding values, product specification, anchor length, anchor spacing and other considerations. For more specific information, click on the individual product link. 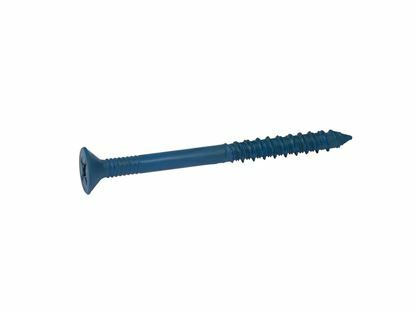 Installation - provides a step-by-step listing as well as a video showing the correct way to install the Tapcon® masonry screw. 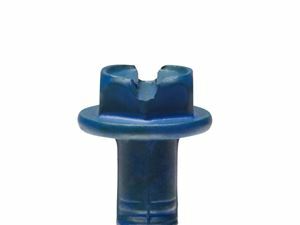 The Blue Tapcon® is manufactured with two head styles: the hex slotted washer head and the flat head. 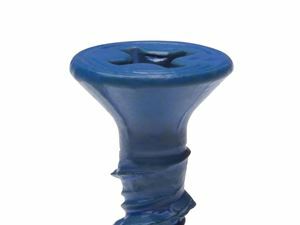 Hex Head - provides an excellent bearing surface to the item being fastened. The head sits above the surface of the item and is easy to install by using a hex nut driver or slotted screwdriver. 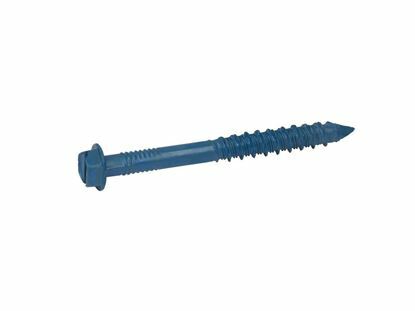 Flat Head - ideal for attaching wood to masonry or other items that require the head of the fasteners to sit flush with the surface of the item being attached.